Intergenerational activities and programmes have become a popular topic in the United Kingdom recently with the success of projects involving older adults and children as portrayed in television programmes such as Old People’s Home for 4 Year Olds and The Toddlers Who Took on Dementia, through media attention of innovative projects including the Apples and Honey Nightingale co-located nursery-care home, as well as from societal issues of media-grabbing headlines of tensions between ‘baby boomers’ and ‘millennials’ and generational differences in political attitudes such as toward Brexit. As society becomes more age-segregated and resources become stretched, intergenerational activities have become a necessity beyond the feel-good aspects of such projects, a point argued by many who promote the need for intergenerational contact in society, such as Nancy Henkin, founder of Temple University’s Center for Intergenerational Learning, and Stephen Burke, founder of United for All Ages. In addition to the initiation of such projects, it’s vital to also consider the evidence base in this area as well as ways to evaluate such programmes and increase the accessibility of this information to those interested in running intergenerational programmes. There’s an interesting phenomenon when it comes to psychological research; as much as we often characterise scientific research as being objective and neutral, like many researchers, our own personal experiences often guide us and inform us through our exploration of research areas. I am an immigrant raising my daughter in a different country than her grandparents. I was thrust into a new lifestyle of motherhood 3 years ago and had to re-evaluate my identity, my purpose and how I fit into society. 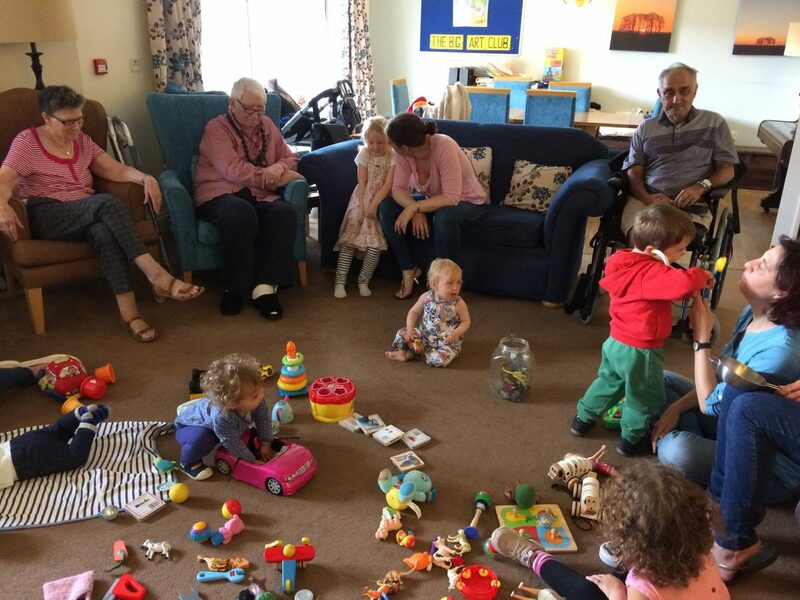 As my maternity leave ended and I came back to the world of academic life, I became involved with Acorns ‘n’ Oaks Playgroups, a new organisation which was organising playgroups in care homes across the Bristol area, as a parent participant, a group leader and the research coordinator. 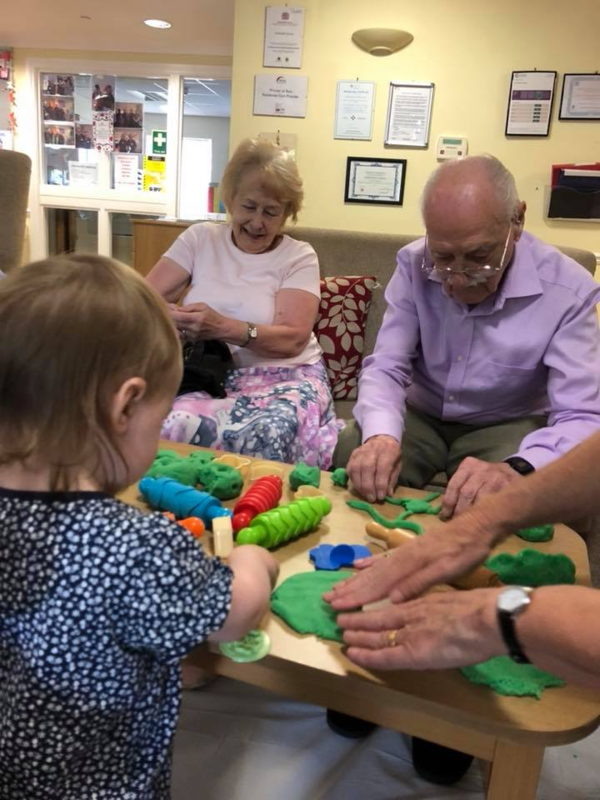 I could immediately see the benefits of activities such as these playgroups to not just the older people and the children, but the parents, grandparents, caregivers, student volunteers and staff as well. We are currently experiencing a crisis of providing mental health support and reducing feelings of isolation and loneliness in our society, whether it’s for older adults, new mothers, or university students, three groups vulnerable to these issues as they experience life transitions. 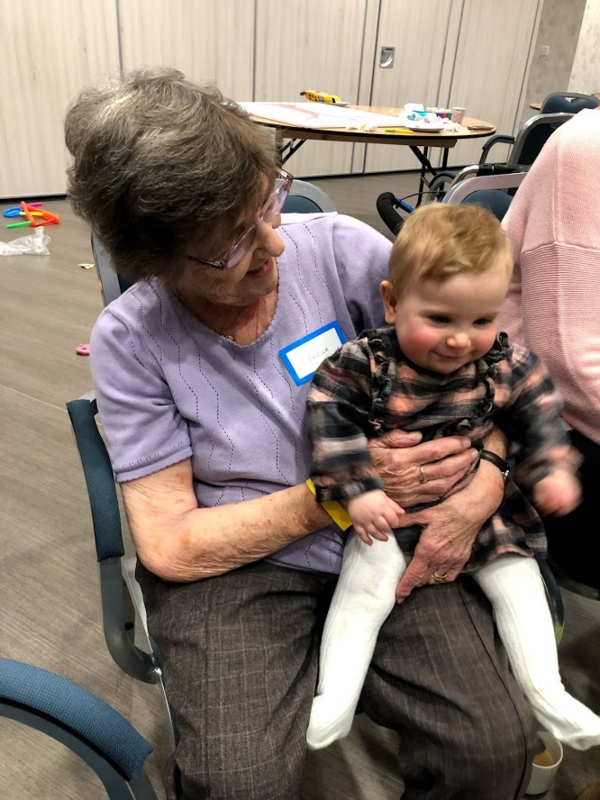 Intergenerational activities have been proposed as a way to prevent and alleviate some of these issues, providing the connections and relationships that allow for improvements in mental and physical health, changes in ageist attitudes, learning opportunities, and stronger communities. Key to any programme or intervention is the research; activities should be evidence-based and evaluated. For decades, researchers have been investigating the effects of intergenerational contact on its participants, particularly the physical and mental wellbeing of the older participants and the attitudes and social development of the younger participants, finding overall positive consequences from intergenerational experiences. Constructing a coherent picture of intergenerational benefits has been tricky, however. The nature of evaluating programmes that have not been set up as controlled experimental studies means that research often suffers from issues such as small sample size, lack of control groups or control activities, and variation of participants and structure both within and across studies. Research on intergenerational contact, however, has also been useful to identify what qualities can make a programme more or less successful. Focussing on programmes that aim to reduce negative attitudes toward ageing and stereotypes of older adults, publications such as a recent report for Age UK by Drury et al. (2018) and a review article by Christian et al. (2014) give a thorough review of intergenerational programmes and research findings to highlight, backed by social psychology theory, recommendations for planning and structuring successful intergenerational activities. Research can be greatly beneficial to any organisation interested in setting up and evaluating an intergenerational activity. 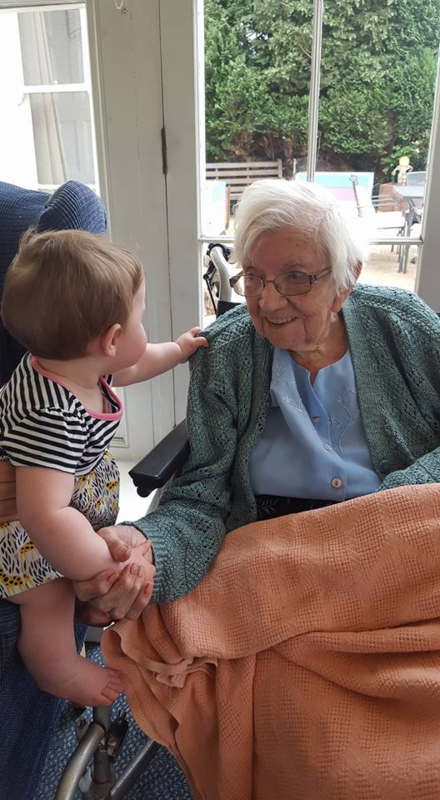 Although it’s positive that so many nurseries, care homes, community organisations and councils are interested in developing intergenerational activities, the fact that so many of these projects are initiated from the ‘bottom-up’ means they aren’t able to benefit from a top-down structure or organisation that can provide the evidence for planning, the evaluation tools, the practical guidelines such as risk assessments and data protection and funding opportunities. There are, however, some excellent resources, for example the United for All Ages’ webpage which includes tips for planning parent and toddler groups in care homes, St Monica’s Trust’s guide for intergenerational activity, and the Together Young and Old Programme, which provides a number of resources and training opportunities, a toolkit for training people in intergenerational activities and an online course. The more a network of those interested and working in intergenerational activities and research can be developed, the stronger this area will become. Currently I am part of an interdisciplinary intergenerational research group that has recently been awarded funding from the NIHR to do a systematic review on intergenerational programmes and research. This research group grew out of last year’s Innovation in Care: Stories of Intergenerational Action conference, which was a very informative gathering of those working in the area ranging from one-off and pilot projects to regular activities to co-located facilities. 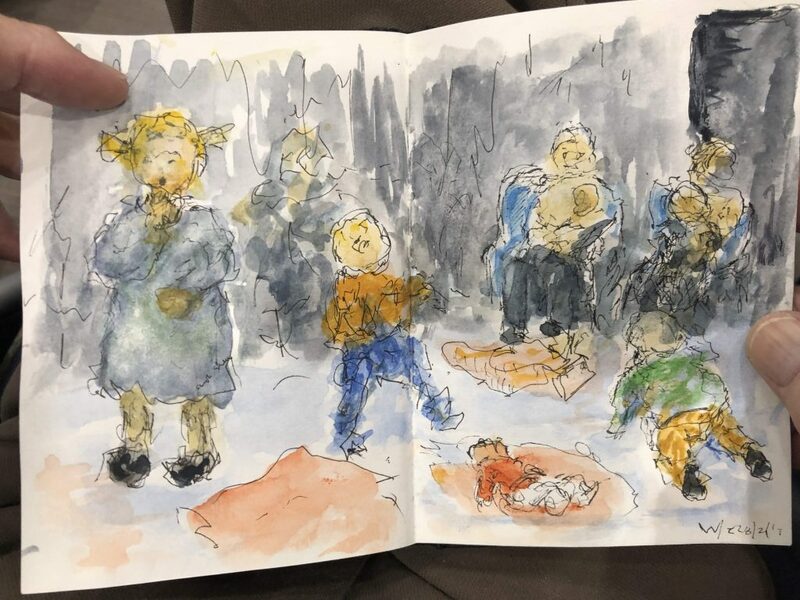 I am currently working with Acorns ‘n’ Oaks to evaluate their playgroup experiences, looking at some of the motivations and perceived effects of participating in the playgroups from the perspectives of the older adults, those that bring children to the group and the staff involved. Psychology students researching this area for their final year undergraduate dissertation have been key in this data collection. Findings will be presented later this year at the 11thInternational Social Innovation Research Conference in Glasgow. I have also been working with BS3 Community in South Bristol, who have run a number of successful intergenerational programmes, including linking their nursery with a local care home, Tech and Talk and their current pilot Grandparent-Toddler playgroup, which will feature as a case study in Children’s Centre Leader magazine later this year. 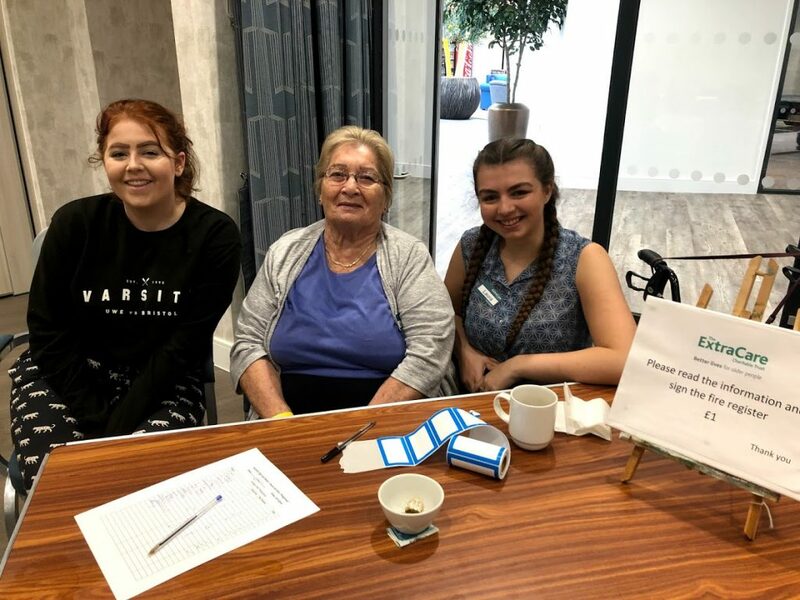 We also have a fantastic opportunity now with the new ExtraCare Stoke Gifford Retirement Village situated next to UWE Frenchay Campus for intergenerational connections to be made with university students, as well as special projects with the local community. Psychology students have been instrumental in working with the new village to develop and run an intergenerational playgroup, funded by a UWE Community Fund and Quartet, and we’re working with ExtraCare to help keep their intergenerational programmes sustainable with a general plan for intergenerational activities across their facilities. I’m very interested to grow a local Bristol/Southwest network of those involved in intergenerational activities and help provide resources and workshops to those interested in starting and evaluating programmes. If you’d like more information, please contact me at jennie.ferrell@uwe.ac.uk. Previous Previous post: Who is sport psychology for?